Yahoo Mail is a free email service from Yahoo. 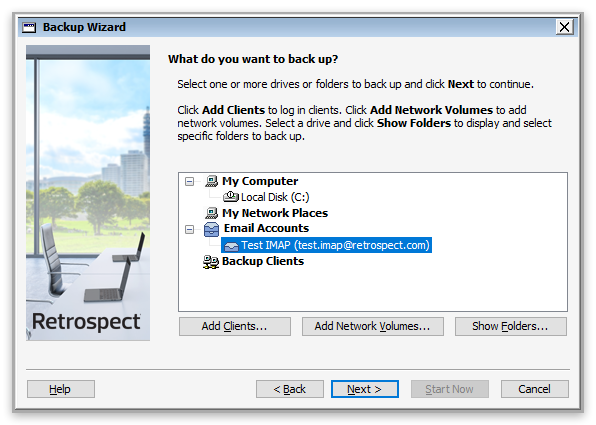 Retrospect 15 for Windows and Mac are certified to back up and migrate Yahoo Mail. Follow these step-by-step instructions for configuring Retrospect. 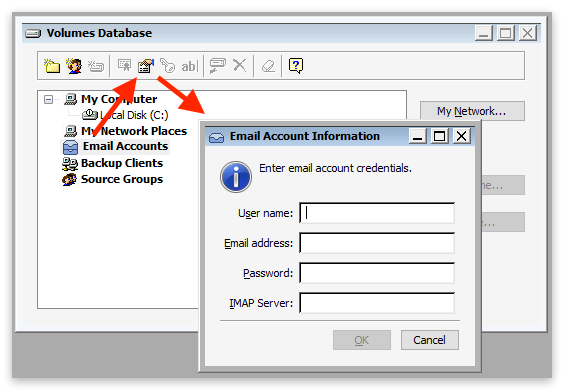 On Windows, select "Email Accounts" under "Volumes" and click "Properties" to add an email account. On Mac, select the plus button under "Sources" and then "Email" to add an email account. 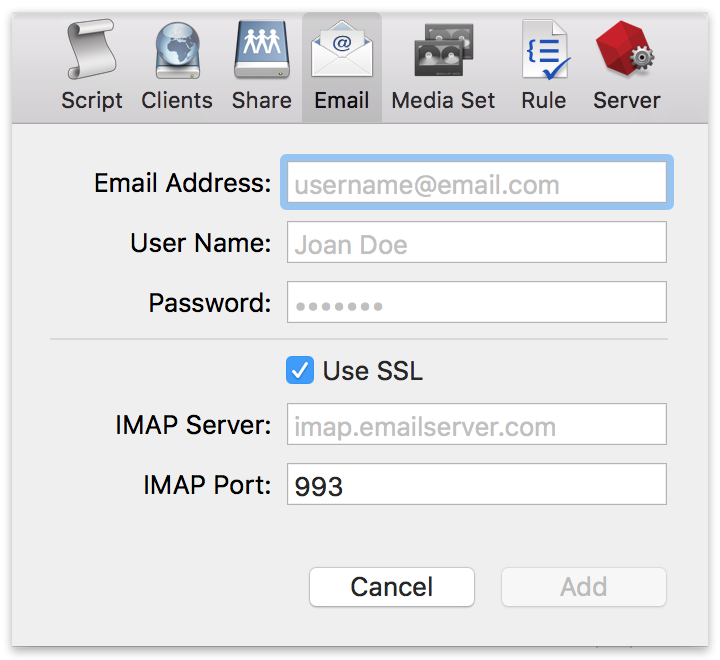 If you receive "error 8252", please check your IMAP server and port. Verify you have followed the instructions in Security Settings. Walk through steps to set up two-step verification. Create an application-specific password for Retrospect. Enable "Allow apps that use less secure sign in". Adding an email account to a backup script is the same as any other source. 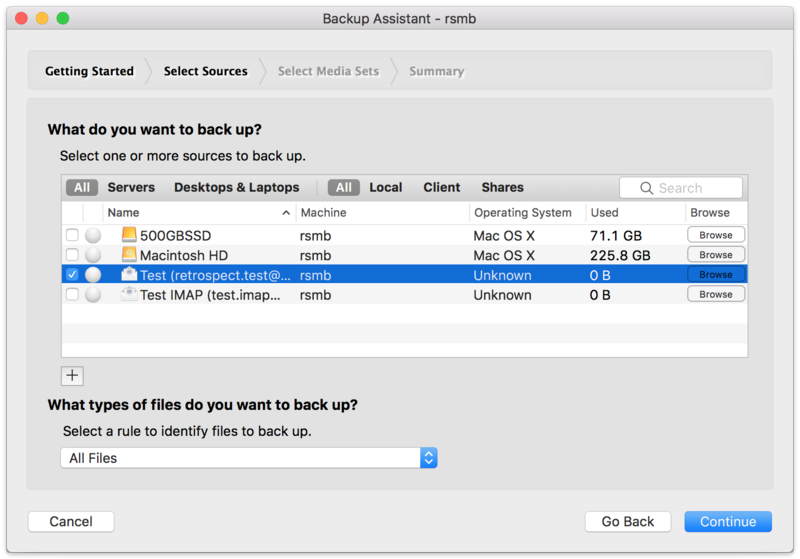 Launch the Mac Backup Assistant or Windows Backup Wizard and select the email account as a source. If you use the advanced mode, the email accounts are listed along with the other sources. Below are performance metrics for gauging how long your email operations will take. Keep in mind that they vary greatly by the email service’s responsiveness. Scanning: For scanning, Retrospect downloads successive sets of email headers. We have seen Retrospect scan 150 emails per second for 100,000 emails on a Gmail account, taking 10 minutes. We have also seen instances where scan is as slow as 10 emails per second. Backup: For backup, Retrospect downloads each email in serial. In testing, we have seen a backup of 30,000 emails with 3 GB of data take 2.5 hours, averaging 3 Mbps. However, similar to scanning variance, we have seen backups that were far slower.